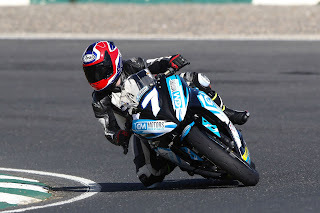 Jamie Lyons has been selected as a British Talent Cup candidate for 2019, having swept the board in this years Masters Junior Cup championship. The Dorna bosses were impressed with the results as well as his experience, having competed in 2 seasons of British Youth MotoX. The British Talent Cup follow the British Superbike calendar as well as taking place at selected high profile rounds of World Superbike and MotoGP in the UK and Spain. Certainly one to watch next season and for the immediate future too as the 13 year old prepares over the Winter for his toughest challenge yet.